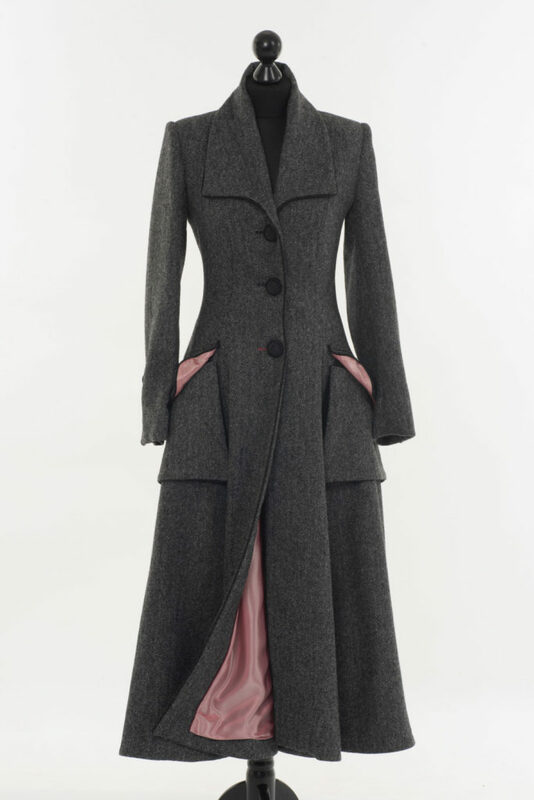 The Ballinrobe Coat is a luxury wool coat, which takes its name from Ballinrobe, one of the most ancient towns in Mayo, and one around which the Lucan’s held large estates. The name derives from the delightful River Robe, which winds majestically through County Mayo to empty into the spectacular Galway Bay. 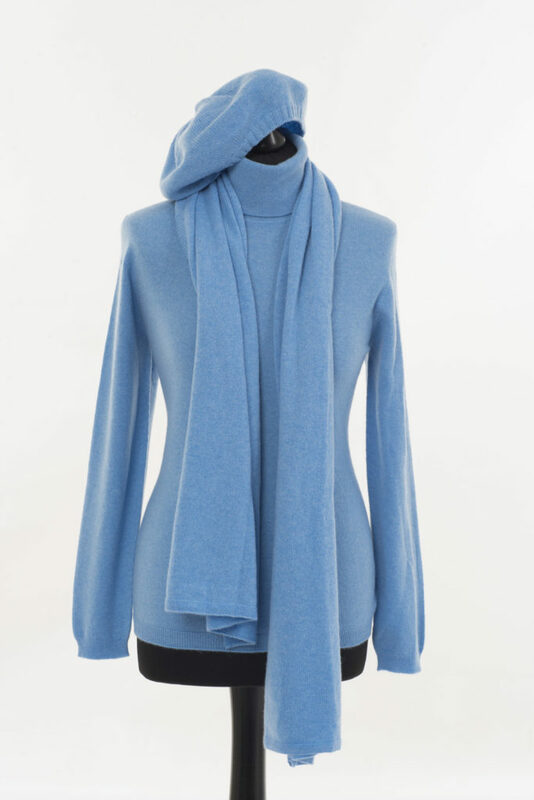 Colours reflect the stunning winter sunsets, set against shadowy evening landscapes. 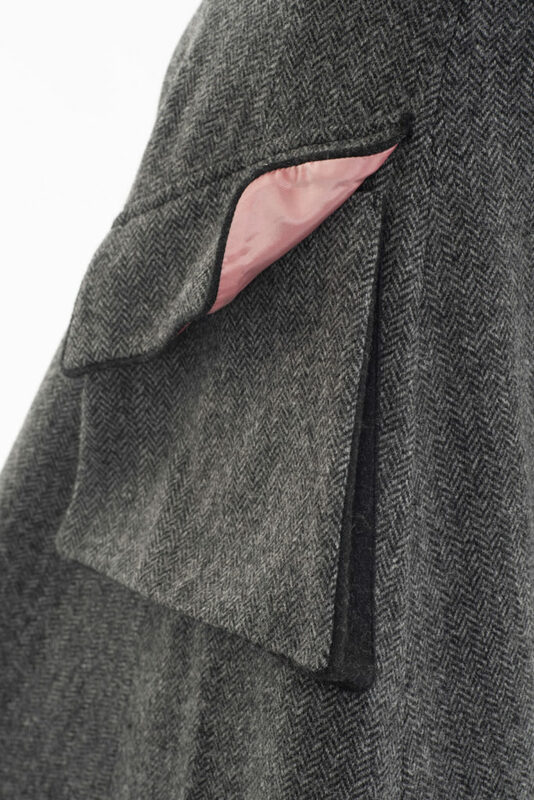 The dusky pink lining is a perfect complement to the slate grey herringbone fabric. 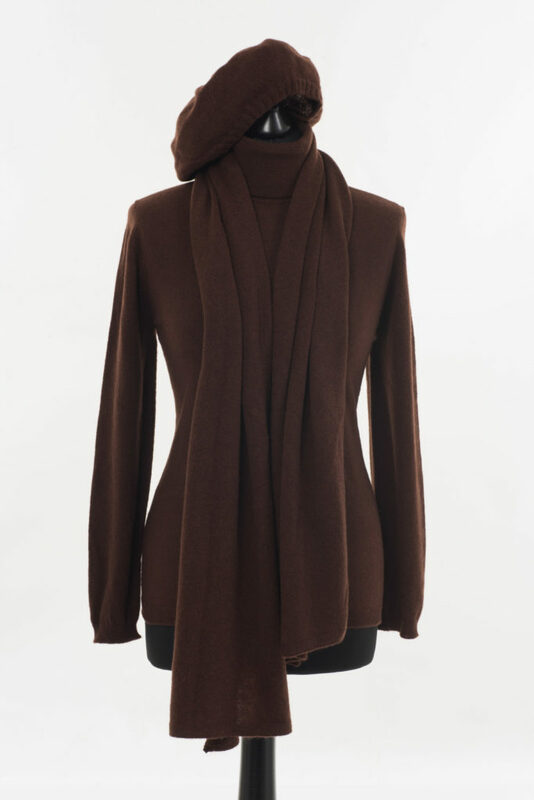 The coat, like the river is a long, flowing garment with exquisitely defined curves and large bellows pockets, which echo the loughs into which the river spills in its course. 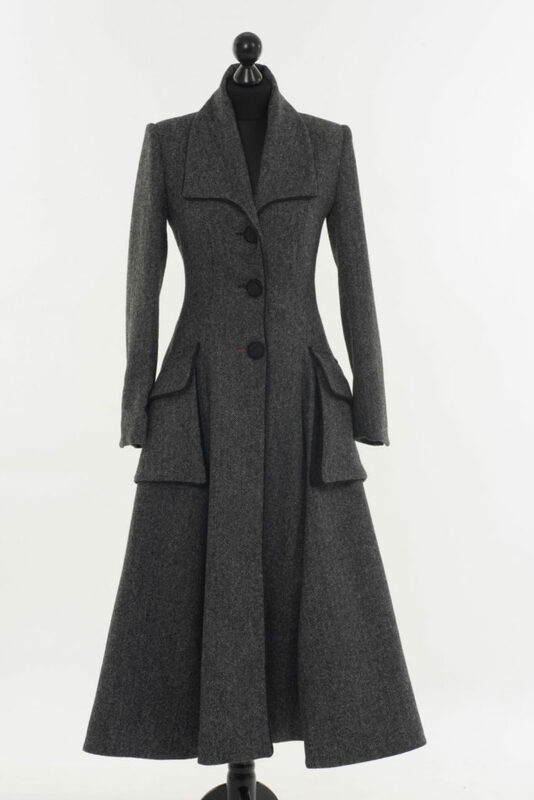 The Ballinrobe is a vintage inspired long overcoat with a full sweep, longer at the back. 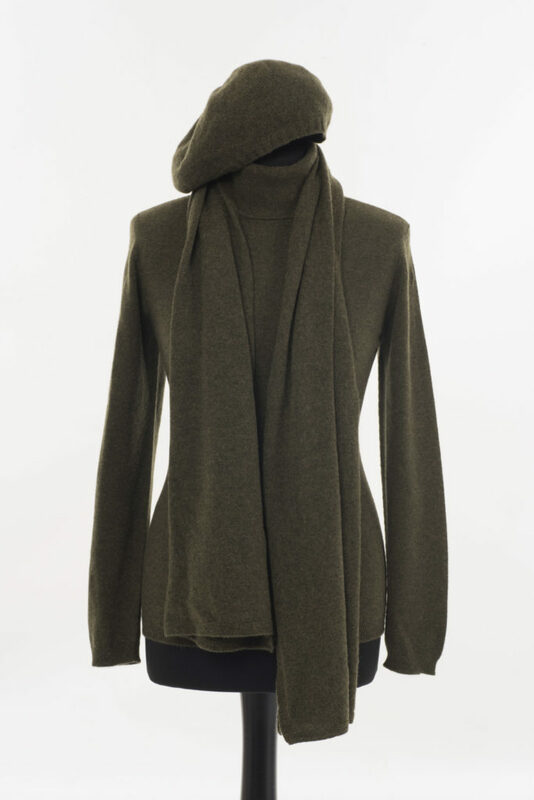 The garment has panelled seams for an elegant, feminine silhouette. There are 50’s style shoulder heads with a prominent sleeve crown. 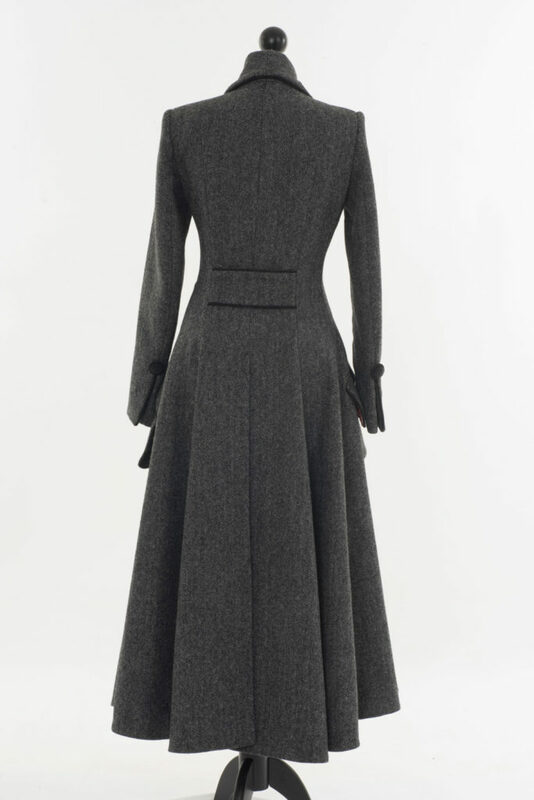 Features include beautiful black designer buttons, defined shoulders and a full skirt with a graceful longer back. 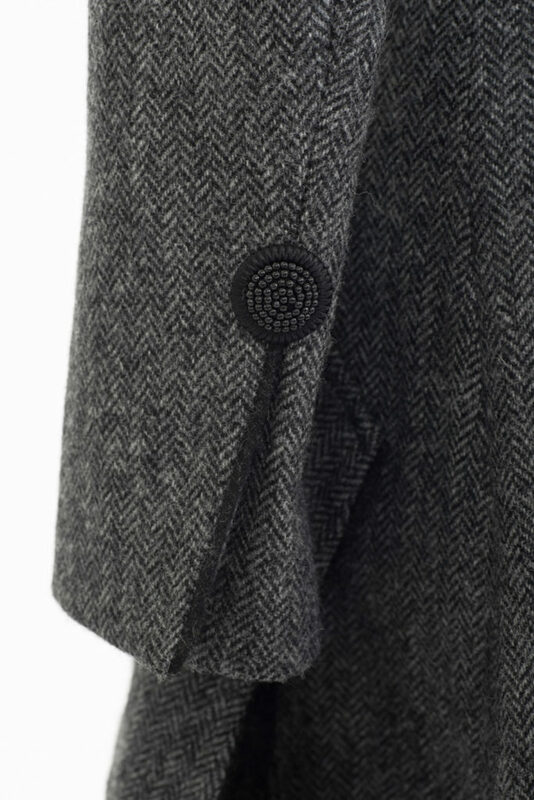 This garment is unashamedly vintage, with inspiration from the elegance and glamour of bygone eras. 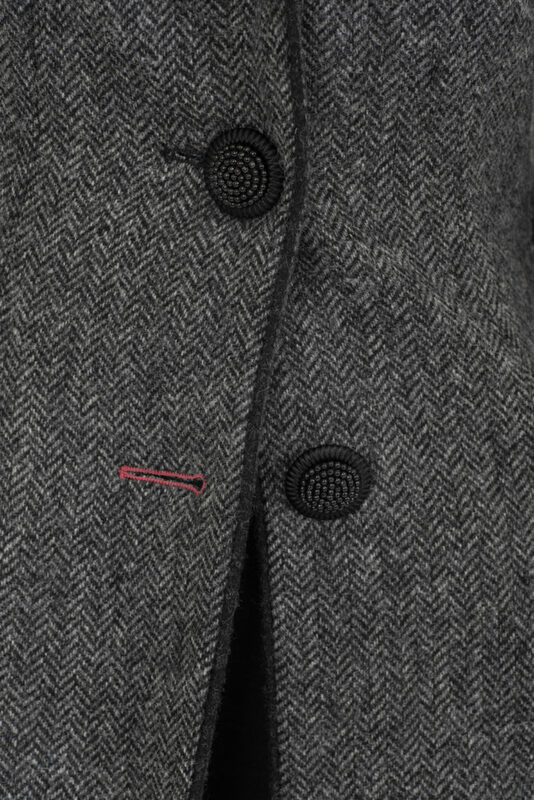 Ballinrobe is the ultimate eye-catching coat for town or country. Signature contrast lining in Champagne pink. Large shooting inspired bellows pockets with contrast fabric inside bellows. 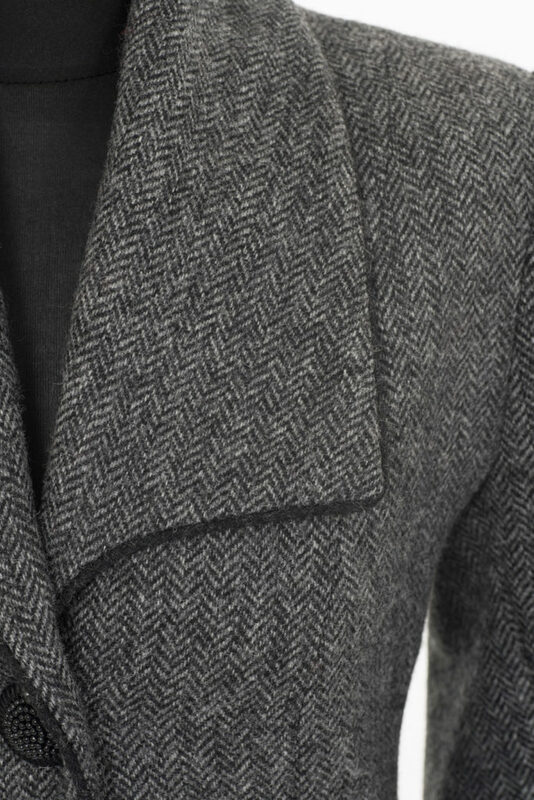 Pipe in contrast around collar, pocket and front. 50’s style shoulder heads with prominent sleeve crown. Large black vintage buttons with beautiful bead design. Bottom Buttonhole in pop of Champagne pink. Piped cuff vent and button.